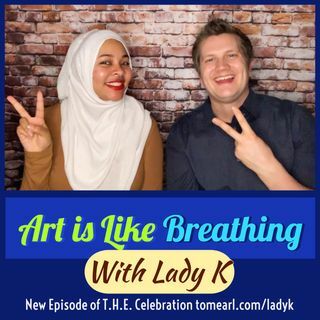 This week, I’m joined by poet-entrepreneur Lady K. We talk about one of Lady K’s passions, ART, and its ability to act as self-care, activism, and expression. Lady K is a ... See More published author, national award winning writer, public speaker, and civil rights activist. By combining her passion for words and policy, Lady K continues to seek solutions to bring about a sustainable peace domestically and abroad.